creative: ever since i got a little creative with my scarf+dress pattern mixing a few weeks ago for a music festival, i've been wanting to do something similar during the week. two neutral-colored patterns at very different scales doesn't actually seem very crazypants. young: these clog sandals. they're not really very professional, but they're a bit dressier than flat sandals. 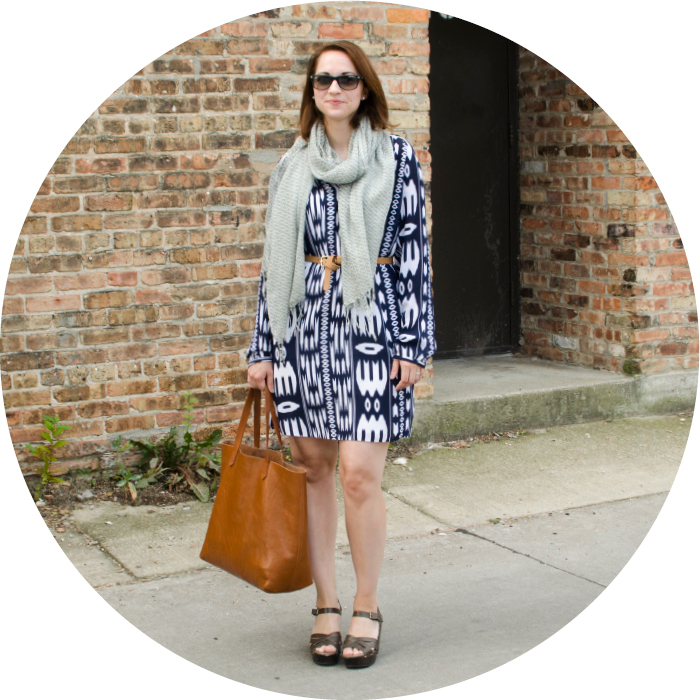 professional: print shirtdresses are quite possibly the easiest way to dress up for work.